Martha Tilaar Group - PT Martina Berto Tbk has two subsidiaries that manufacture and market its products, the PT Martina Berto Tbk & PT Cedefindo. 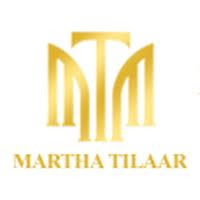 With its ability to produce quality products and marketing strategy, both companies continue to grow to be part of the Martha Tilaar Group which started go global. PT Martina Berto Tbk invites you to join to be part of a national company that is ready worldwide. If you have the qualifications we need and are ready to commit to progress and develop in a career with our company, you are the person we are looking for.